Peru for You: EL SABOR DEL PERU! You know what else is good? EL SABOR DEL PERU! read more! who wants to try some of this? 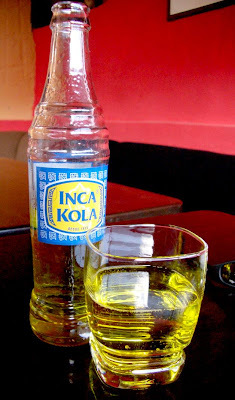 I think this is for the Inca Kola, it does sound good though i am a little skeptic, what else is in it? its probably better that we never know... but it sure makes you feel alot better when you get a door slammed in your face. i greatly, greatly want to go to peru. T__T hi, i don't know you.